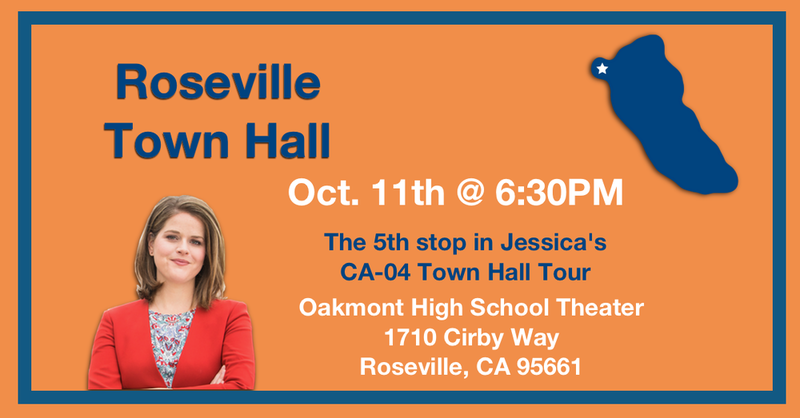 Join Jessica on the Fifth stop on #TownHallTour across #CA04! Thank you for registering. We’ll see you in Roseville.